harsh chemicals that harm people and the environment. Hair care has remained essentially the same for far too long – clean your scalp with toxic chemicals and without addressing the literal “root” of the issue. The new TrueScience Hair Care System is designed differently. It’s formulated with Nrf2 ingredients and a clean formula that puts more into your scalp and less toxins into your body – and the environment. It’s a biohacker’s approach to hair care and it’s changing everything. Helps regrow healthy hair, increasing softness and reducing breakage & frizz. Boosts hair regrowth by acting at the heart of hair follicle biology. Moisturizes the scalp and protects healthy scalp microflora for more beautiful hair. Protects hair against environmental assaults. Biohackers are never content with the status quo. We are prone to ask questions. So we asked ourselves: What if hair care did more? What if it wasn’t just good for you but the environment as well? What if you could have the best of both worlds: cleaner ingredients that leave your hair looking healthier? So, our scientists set to work. The next generation of hair care is now here. Engineered with Nrf2 science, infused with clean, effective ingredients, the TrueScience Hair Care system is designed specifically for biohackers. 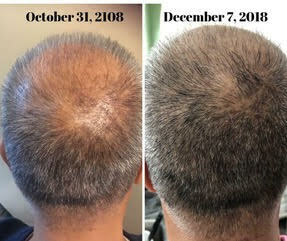 It not only improves shine and body for fuller, thicker, healthier looking hair – it reimagines what hair care can do. No more choosing between good for you and good for the environment. No more harsh chemicals or marketing hype. No more simply cleaning follicles without addressing the “root” of the problem. We’ve got your follicles covered with biohacking’s first hair care solution. 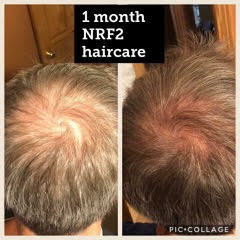 This is what happens when the science of Nrf2 activation is combined with hair care. Nrf2 activation empowers your body to produce your own Anti-inflammatories and Anti-oxidants. Thus your body can neutralize the oxidative stress to allow your scalp & hair to be the best it can be! Decrease Oxidative Stress & Increase the Look of your Hair! Give your hair the nourishment and protection it needs without the toxic burden and chemicals your body could do without. 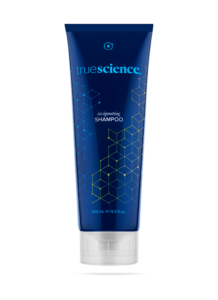 With TrueScience Invigorating Shampoo, you get cutting edge science in a safe formula that keeps your hair soft, smooth, and clean. It’s time the world got a shampoo that doesn’t come with compromises. From the moment you wake up, to the minute you go to bed, you put your hair through the ringer. 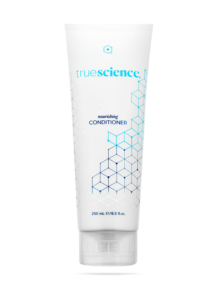 Now it’s time to give back what life takes out with TrueScience Nourishing Conditioner. It’s scientifically formulated with powerful ingredients that nourish and protect from the inside out. So you get a softer, shinier, fuller-looking head of hair that never weighs you down. 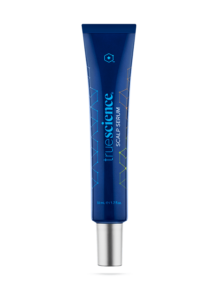 The TrueScience Scalp Serum is formulated with a powerful combination of ingredients designed to nourish your scalp, support normal hair growth, and give your hair the shine and body you want. No more masking damaged hair. No more harsh chemicals. This scalp serum is designed to work at the root of the problem to support a healthy scalp for beautiful hair. At the very center of our cellular protective pathway is a protein called “Nrf2” that serves as a “master regulator” of the body’s antioxidant response. You might think of Nrf2 as a “thermostat” within our cells that senses the level of oxidative stress and other stressors and turns on internal protective mechanisms. BioHacking is taking control of a complex system (specifically your own biology) in order to achieve a desired outcome. Nutrigenomics is the science of studying the interaction of nutrition and genes. Scientific studies develop the understanding of how the body responds to nutrients and natural compounds to effect gene expression. 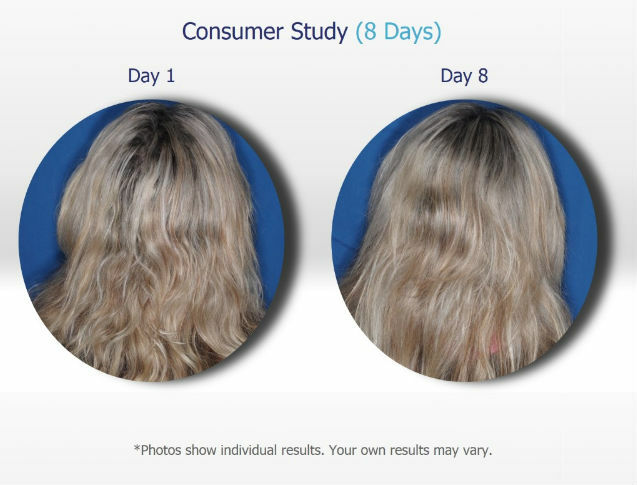 WHAT IS TRUESCIENCE HAIR CARE SYSTEM? The TrueScience Hair Care System is designed to give biohackers hair care that’s good for their hair and the environment. It’s made of three separate products: our Scalp Serum, Invigorating Shampoo and Nourishing Conditioner. 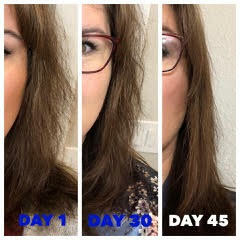 WHY LIFEVANTAGE DEVELOPED TRUESCIENCE HAIR CARE SYSTEM? 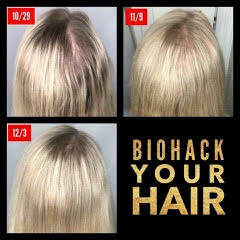 Because Biohackers everywhere need a hair care solution that is clean, safe and focuses on the beauty of your hair. We formulated TrueScience Hair Care with Nrf2 ingredients, effective science and a clean formula that introduces the first-ever hair care system designed by biohackers, for biohackers. 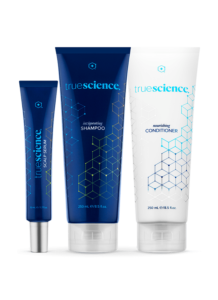 DOES THE TRUESCIENCE HAIR CARE SYSTEM CONTAIN NRF2 INGREDIENTS? You bet it does. 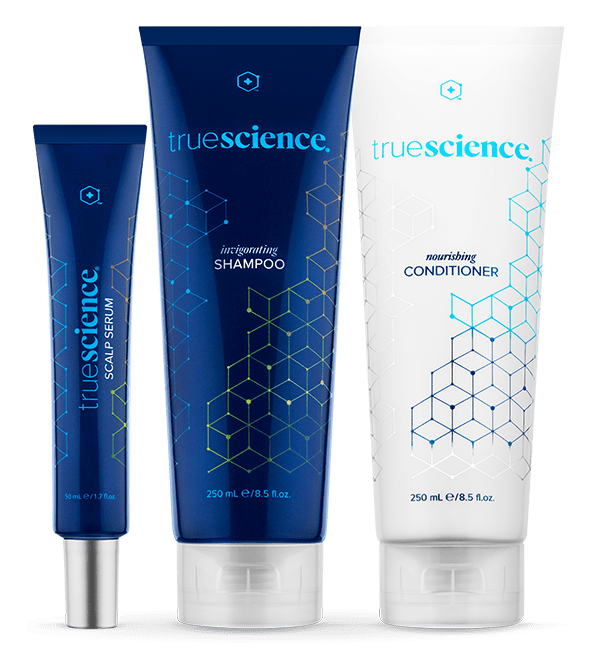 The TrueScience Hair Care system was mindfully formulated with Nrf2 ingredients, which are different than the TrueScience Beauty system. 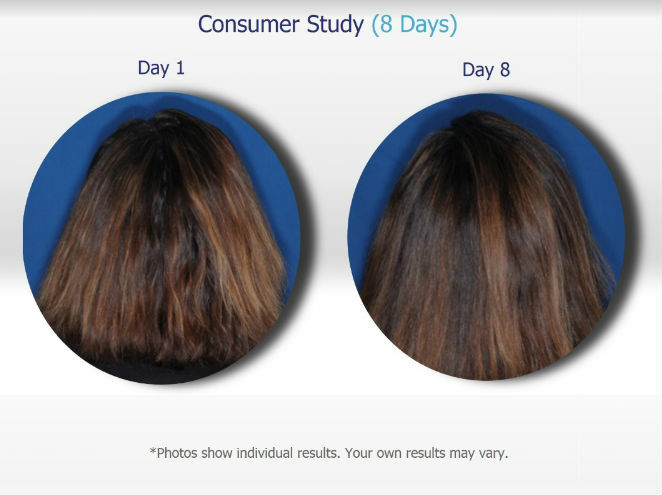 WHAT MAKES THE TRUESCIENCE HAIR CARE SYSTEM UNIQUE? 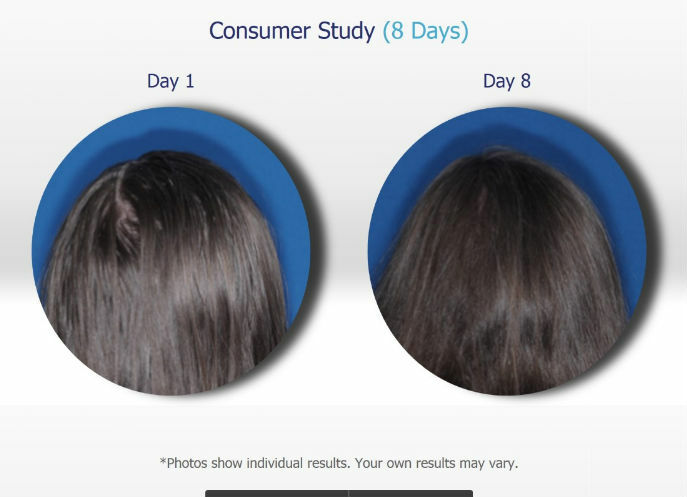 Nrf2 science and a unique formulation designed to reduce the toxic load by using cleaner ingredients that make the TrueScience Hair Care System one of a kind. ARE ALL THE INGREDIENTS IN THE TRUESCIENCE HAIR CARE SYSTEM NATURAL? Most of the active ingredients are plant-based. Invigorating Shampoo is 98.9% naturally derived. Nourishing Conditioner is 94.8% naturally derived. And Hair Serum is 98.65% naturally derived. IS THE TRUESCIENCE HAIR CARE SYSTEM SCENTED? Yes. And it smells great. The Invigorating Shampoo, Nourishing Conditioner and Scalp Serum fragrance comes from essential oil from peppermint and hint of thyme. CAN I USE THE HAIR CARE SYSTEM IF I HAVE A SOY ALLERGY? Because TrueScience Scalp Serum contains soybean oil, anyone with a soy allergy should avoid using it. However, the soybean oil used in the scalp serum is protein free. If you still want to use it, test product on the inner forearm before using it on your scalp. Apply a small amount to your inner forearm. If no reaction occurs after a few minutes, apply to scalp as directed. DO THESE PRODUCTS CONTAIN ANY ADDED SULFATES, PARABENS, GLUTEN, SILICONES, PHTHALATES, BUTYLENE GLYCOL OR ARTIFICIAL COLORS? ARE THESE PRODUCTS FREE FROM ANY ADDED ANIMAL DERIVATIVES? Yes, all products are free of added animal derivatives. ARE THESE PRODUCTS SUITABLE FOR ALL HAIR TYPES? You bet. They work on any head of hair. Yes, these products are non-GMO. 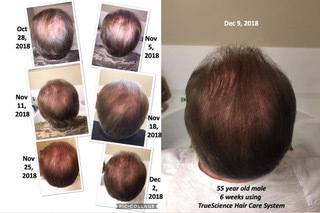 WHERE IS THE TRUESCIENCE HAIR CARE SYSTEM MANUFACTURED? Each product is manufactured in the U.S.A.
CAN I USE THESE PRODUCTS EVERY DAY? Yes, Invigorating Shampoo and Nourishing Conditioner are great for everyday use or periodically based on individual needs. We also recommend using the Scalp Serum every day – or even twice a day for the best results. CAN I USE THESE PRODUCTS ON CHEMICALLY TREATED HAIR? Go for it. These products are safe to use on chemically treated hair. Subjects washed and conditioned their hair with their personal products in the morning – no other styling products allowed. They were evaluated by the investigator later that afternoon. 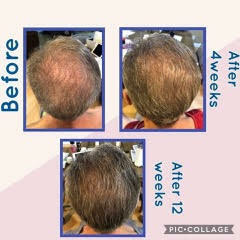 The subjects were asked to wash and condition their hair with TrueScience Hair Care two times during the week, while using the scalp serum once in the evening. Subjects washed and conditioned their hair with TrueScience Hair Care in the morning – no other styling products allowed. They were then evaluated by the investigator later that afternoon. ORDER MORE BIOHACKING PRODUCTS ONLINE NOW. 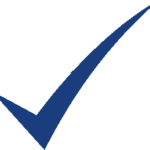 Enter your e-mail to receive more information on TrueScience Hair Care.